Andrews McMeel Publishing is a major player in poetry’s resurgence with a new generation of readers. 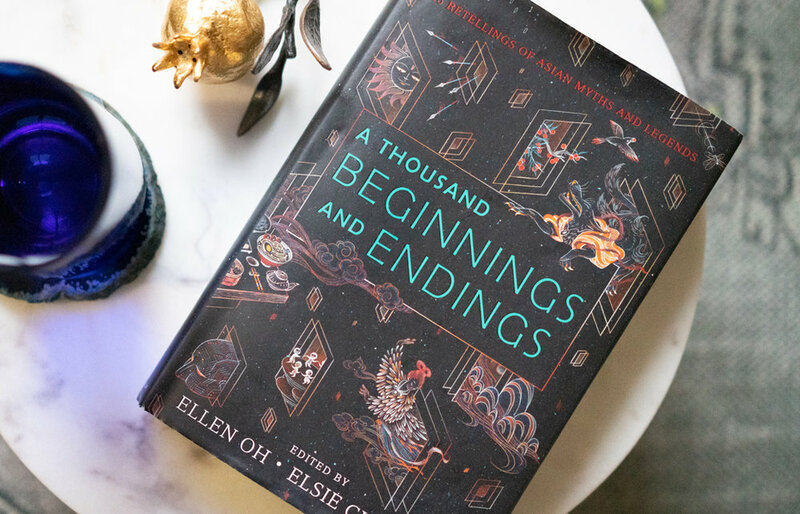 Their list includes bestselling poets like Rupi Kaur and amanda lovelace (whose most recent title, the mermaid’s voice returns in this one has over 400 reviews on NetGalley). 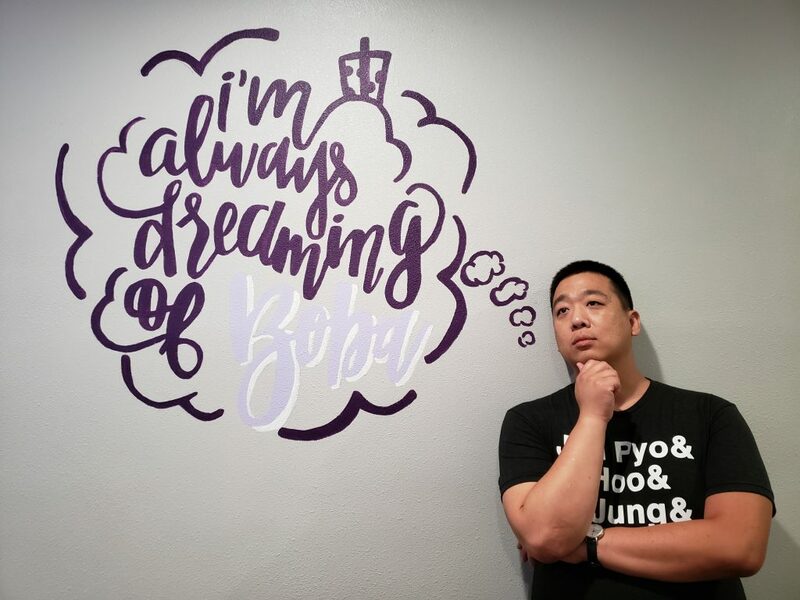 With a focus on young, digitally-engaged poets from all over the world drawing upon their diverse backgrounds and experiences, they connect with audiences who may never have seen themselves reflected in poetry before. In honor of National Poetry Month, we sat down with Kirsty Melville, President & Publisher of Andrews McMeel. In this interview, she tells us what she thinks is behind poetry’s current boom, where she’s looking for new voices, and what trends she sees on the horizon. She describes how the publishing industry is becoming more responsive to what readers are looking for, and how booksellers can use poetry to engage with new customers. 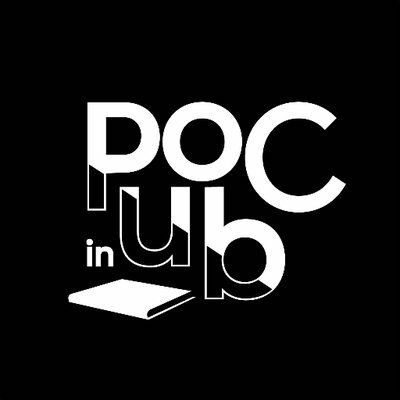 What do you think accounts for some of the popularity behind popular poetry from a diverse group of poets, especially among millennials? The impact of technology, really. The ease of being able to connect and communicate online has opened up sharing. The ability for people to share their work online, and to share their books. And then for the books to be available at retail so that [readers are] having an experience online and then able to buy a physical book. Poetry lends itself to the experience of reading in short form online. You have that short, shareable mechanism that something like an Instagram distribution platform provides. It also provides building awareness. People want to read poetry privately and it’s a form of reflection, so you see them purchase the same poetry in a book so they can experience the same work. One of the things that I’ve found most exciting about the poets that we publish is that it’s a global phenomenon. One of the things that I’ve found most exciting about the poets that we publish is that it’s a global phenomenon. Lang Leav was this poet we published. She was born in a Thai refugee camp — she’s Cambodian originally, raised in Australia. She started posting her work on Tumblr. I saw that she had this fan base in Asia; young women in Singapore, Malaysia, and the Philippines were reading her work. I saw this community of young women who were totally involved and interested in what Lang had to say. Young women see themselves reflected in [these] poets. So, you have someone like Rupi who is Punjabi-Canadian and she’s a brown woman. So suddenly brown women are seeing themselves reflected in the work of poets and spoken word artists. And then you have someone like K.Y. Robinson who’s from Houston and who’s African-American. She’s writing work and young women are seeing themselves reflected in her work. Or you have Upile Chisala who’s from Malawi; she’s speaking to African women. I think what’s happening is that the internet is facilitating young people seeing themselves reflected in the writers of today and responding to that. People can finally have poets who are not dead white men writing about things that are relevant to them. Poetry has always been the form of talking about the meaning of life and expressing emotions around life and loss and trauma and understanding the world. All that’s happened is that the Internet’s facilitated that sharing. Where are some of the places that you and your team are looking to keep up with emerging voices, emerging trends, or communities that you hadn’t known about before? I think because I’m Australian, I’ve always had a global outlook. Last year I went to the Sharjah International Book Fair in the United Arab Emirates. One of our authors, Najwa Zebian, who is Lebanese, was on the panel there. I was fascinated to see the Arab world responding to poetry. Rupi had been there 2 or 3 years ago and had a similar response. I was in Sydney in Australia and we are publishing a young aboriginal boy who is 13 years old who won the Australian Poetry Slam a year ago called Solli Raphael. And he writes about some of the issues that he, as an aboriginal and indigenous young man growing up in Australia [deals with]. Environmentalism, for example. I’m looking in communities who haven’t had their worlds expressed. I think a lot of young people see the world as a place they communicate, so I’m looking everywhere. And I’m looking in communities who haven’t had their worlds expressed. amanda lovelace, the author of the princess saves herself in this one, she has a strong feminist orientation and LGBTQ fan base. What’s your strategy for moving poetry away from its reputation of being intentionally oblique or rarified, broadening the perception of poetry as something that is for a lot of different kinds of people? This resurgence in poetry is providing an awareness of the power of poetry in people’s lives. I actually think that we as a culture are committed to poetry as a genre. At Foyles in London you can see Rupi Kaur next to John Keats in the poetry section. It’s bringing more people to poetry, bringing them more to discovery. Once you’ve read one type of poetry it can lead you to another. Rupi recently wrote an introduction to a Kahil Gibran edition of The Prophet that Penguin Random House is publishing. [Young people are] interested in the genre and people want to write poetry. So there’s this great canon. [But] there’s room for everyone. What trends do you see emerging in poetry for the rest of 2019 and beyond? I think a lot of the themes that we’ve seen around feminism and self care and personal expression and identity and immigration. We’re publishing a book next year with Ahmed Badr who was a refugee who started a platform called Narratio, which is about helping refugees write poetry about their experiences. He’s worked with the United Nations and so he’s been working with refugees to help them express their experiences through poetry. He was an Iraqi refugee who wrote a poem about the experience of having a bomb dropped on his house. He read it at the United Nations. He’s a student at Wesleyan, actually. He had launched this website in part because he wanted to be able to help others write about [the refugee] experience. 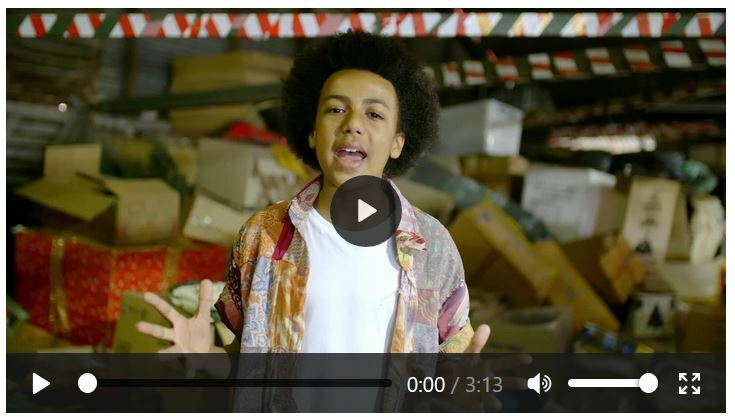 Greenpeace has enlisted Solli Raphael to be a spokesperson for their latest video. It’s pretty amazing how young people are embracing spoken word poetry as a means of communicating. Anything else you’d like more people to know about poetry publishing? One of the things that I have always been passionate about advocating for is booksellers to bring poetry out front. Young people are going into bookstores and buying poetry. So, poetry in the front. Put it on the cash rack. Have a display! It’s National Poetry Month now, so there probably is. But make poetry relevant again. Bring it back. I think it’s a way of bringing more young people into the stores. It sounds like what you’re saying is that it’s less about booksellers making poetry relevant, but booksellers realizing that poetry is relevant and that it is what the next generation wants. Yes, exactly. Poetry has always been there but for some reason gets a bad rap. But if all booksellers could treat poetry the way they treat fiction bestsellers… Put the poetry up front and see what happens! They might sell more than they realize. I think a lot of people are looking to break away from their digital lives and poetry is a form of self-care. I think that the things a lot of people are looking for are for nurturing and reflection and time for themselves. And reading a book of poetry is the way to do that. To be more human again. 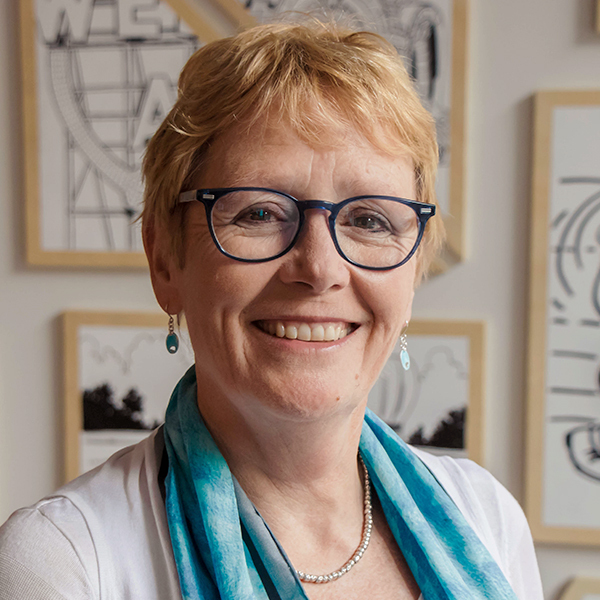 Bio: Founding publisher of Simon & Schuster Australia, Kirsty moved to the U.S. in 1994 as Vice President and Publisher for Ten Speed Press and led in its transformation from a niche publisher into an internationally recognized, award-winning company. She subsequently departed Ten Speed to work as Publisher for San Francisco’s University Games, was appointed Publisher and Executive Vice President of Andrews McMeel Publishing in 2005, ultimately being named President and Publisher in 2009. 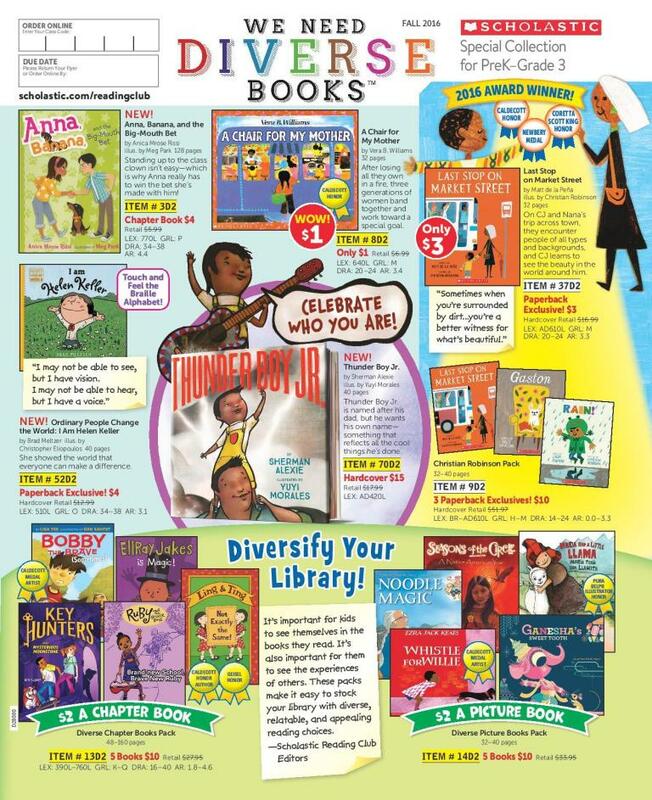 Known for best-selling humor, poetry, inspiration, entertainment and children’s books, Andrews McMeel is home to an extraordinary and vibrant selection of writers, artists, poets and comic storytellers. A global, independent, and integrated media partner, Andrew McMeel distributes creator content through global syndication; book, calendar and greeting card publishing; digital consumer experiences; and entertainment licensing. Under her leadership, Andrews McMeel has published many #1 New York Times bestsellers including Milk and Honey and The Sun and Her Flowers by Rupi Kaur, with more than 7 million copies sold, How to Tell if Your Cat is Plotting to Kill You by Matthew Inman, more than 1 million copies sold, the Big Nate children’s series by Lincoln Peirce, over 5 million copies sold, and Posh puzzle and coloring book program with more than 10 million copies sold. Since 2013 she has been at the forefront of changing the way poetry is perceived and marketed, helping grow and expand the poetry category for readers worldwide. Usually, data scandals don’t inspire publishing industry panels. But on March 14 at the Courtyard by Marriott Central Park, one did. The Book Industry Guild of New York (BIGNY)’s program Data to Dollars: How Publishers Use Social Media and Other Digital Footprints to Find Readers was inspired by the 2018 revelations about Cambridge Analytica’s influence on the 2016 US presidential election. The revelation about how Facebook users’ data was used without their consent inspired Christa Angelios to put together a panel of publishing industry experts who deal in big data to reflect on how we as an industry use the data we are collecting. As publishing is becoming more data-driven, we need to ask ourselves how to balance the increasing pressure to reach out to readers in a crowded marketplace with concerns about privacy and tracking. Moderator Jim Lichtenberg of Lightspeed LLC, who was writing about Big Data in publishing when it was just a trend on the horizon, asked the panelists questions about their own data strategies and how those strategies are changing with the rise of GDPR, consumer concerns about privacy, and more. Erika Seyfried, Director of Content Services in Advertising and Promotion for Random House Publishing Group, described how data insights like the ones Miller provided earlier in the program are driving how she allocates marketing effort and dollars. Because backlist titles have been performing well, Seyfried has started to concentrate more on search marketing. If consumers are reading older titles, it’s likely because they are looking for a specific topic and aren’t too picky whether or not it came out in the past few months. Christina Stanley, Associate Director of Client Training and Development at PRH Publishing Services also talked about search marketing. She advocated for a robust use of keywords, often found in consumer reviews. (We’re big fans of this approach! Check out our intro to metadata for some tips from our colleagues at Firebrand. Firebrand also provides an audience analysis and keyword generation service, Keywords. Read more about it, including case studies!) 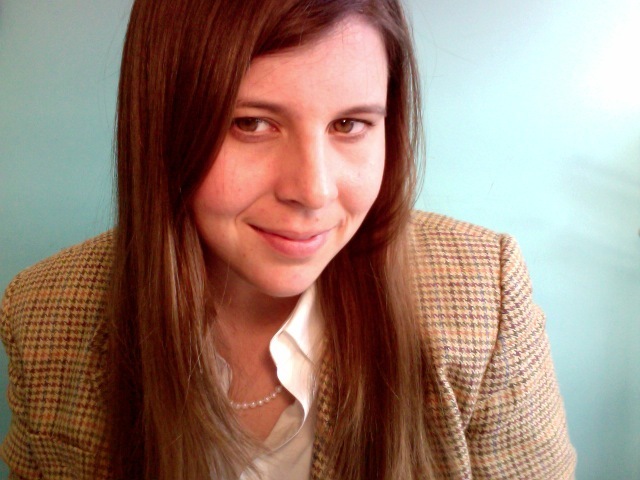 She advocated for a keyword strategy that is both broad and hyperspecific. By using broad (in her words, boring) keywords as well as specific ones, publishers can access consumers who are both casually browsing and looking for something very specific. And she noted that the way to get these keywords is to look at reader reviews. Readers are telling you what’s important about your books in these reviews. While it might be time-intensive to wade through the non-aggregated reviews, ultimately it will help your title stand out. Seyfried told us that she is concentrating more of her social media influencer dollars on nano- and micro-influencers, rather than the mega-influencers. Influencers with smaller follower counts, but better engagement, have a higher ROI for her work. While getting your title on a major Instagram account will certainly give it a lot of eyeballs and likely some sales, Seyfried argued that followers of smaller accounts have a more personal relationship with the influencer and are more likely to take their recommendations. After describing their current strategies based on the best data available to them, Seyfried and Stanley talked about some of the challenges publishing is facing with new data restrictions. Stanley said that while she and her team are acting as though GDPR is a global rule, it’s still a challenge to build a structure to better address security and privacy, rather than ad-hoc solutions as needed. Seyfried told us that her targeting strategy has changed, not just because of legal rules but because of public perception. Consumers know that they are being targeted, and many are skeptical about how companies are using their information. So, with data privacy front-of-mind for consumers, she is focusing less on website cookies and more on search marketing. Even with concerns about data usage and privacy, there was still plenty of data shared during the program. Michial Miller, account manager at the NPD Group (formerly Nielsen). He charted trends across the book market from 2018, drawing out themes that publishers should be paying attention to. One of the most influential trends borne out in different data points is the increasing consolidation at the top of sales lists. This means that smaller numbers of books comprise larger numbers of sales. According to BookScan information, which covers 85% of retail sales, (but does not as of yet take into account audio or self-published titles) hardcover titles have overtaken ebooks in terms of unit sales. Miller noted that this might be due to the buzzy political nonfiction titles that dominated the year. Over the holidays, the top 100 titles saw a 23% increase in sales, while the midlist suffered. The kind of book buyers who are casual books-as-gifts buyers are most likely to buy the books that they’ve been hearing about all year. Surprisingly, backlist titles have been strong. In 2018, 61% of the market went to backlist titles. Adult nonfiction and children’s titles also saw growth in 2018, with some surprising insights within each of those categories. Miller noted that adult nonfiction growth was due, in large part, to both political titles and to domestic titles about cooking and tidying. The data suggests to him that readers are both trying to keep up with the newest political revelations, and then trying to find some kind of domestic joy in the midst of political whiplash. For children’s titles, 1 in 4 books are branded licensing, meaning that smaller indie children’s books tend to have a harder time standing out. The Book Industry Guild of New York is a member-operated professional organization composed of individuals from every aspect of the book publishing and book manufacturing industries. It sponsors educational seminars and trips, holds monthly informational programs, and helps raise money to support literacy programs. Check out their upcoming events. 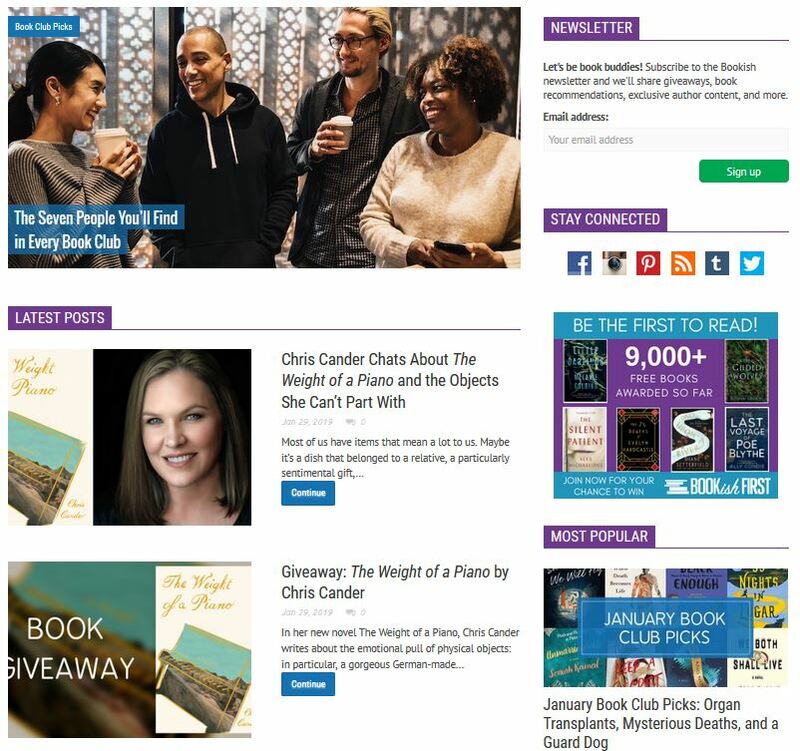 And keep up with NetGalley Insights event coverage, industry interviews, trends, and more by subscribing to our weekly newsletter! 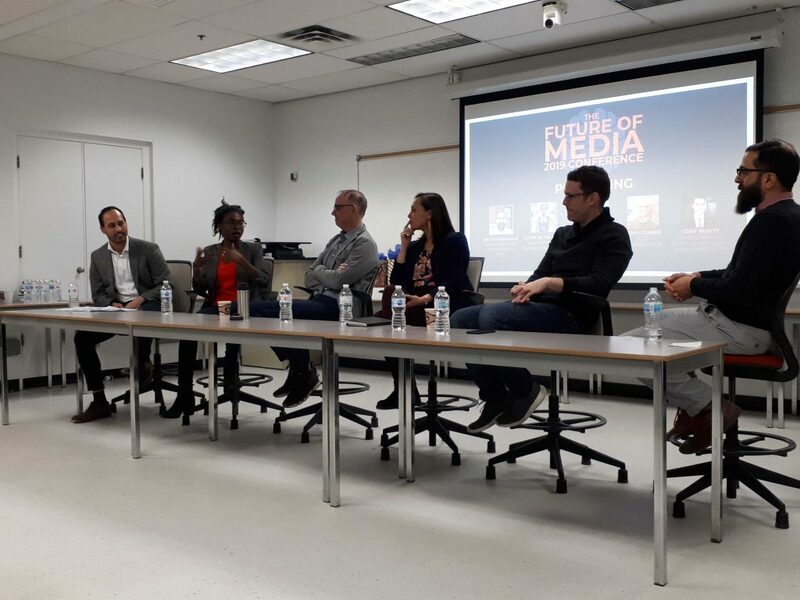 On Thursday, March 7, NetGalley attended Centennial College’s Future of Media panel in Toronto. 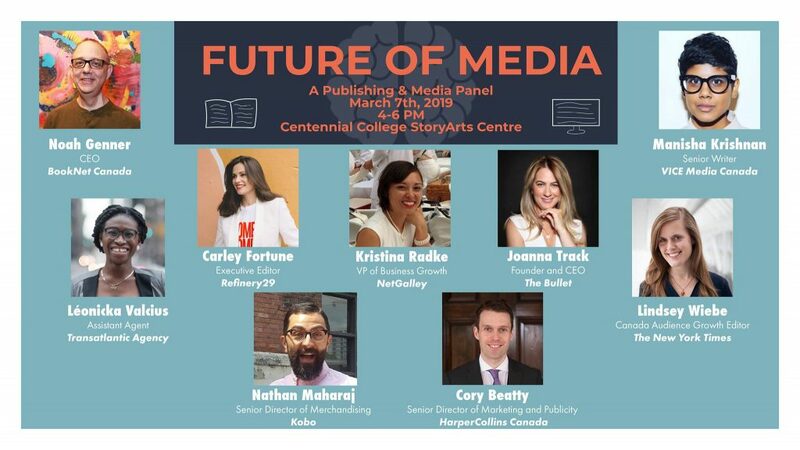 This mini conference features a larger discussion about the media landscape, with a specific panel to focus on publishing. 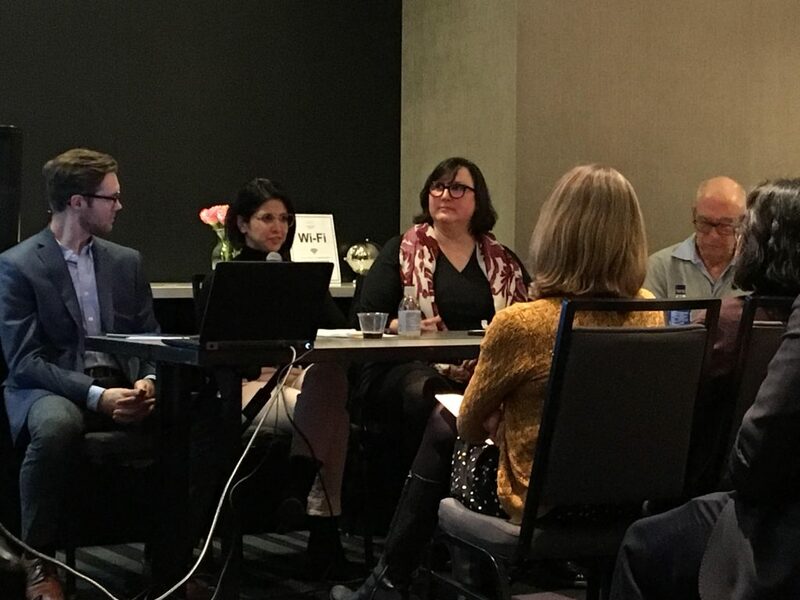 With moderator Manu Vishwanath of Harlequin, the Future of Publishing panelists talked about how to incorporate data into decision-making and how to think about gaining the attention of an audience with limited time and budgets in an oversaturated media landscape. Here are some of the takeaways that we’re bringing with us into the future. At NetGalley, discovery is one of our favorite words. Connecting readers with new books and new authors is the name of our game, and the panelists were just as passionate about this topic as we are. While discovering the “next big thing” has always been a publisher’s dream, the reality of this actually happening seems to be getting slimmer every year. Not only are there more publishers who are publishing more books, there are hundreds of thousands of books being self published, and the global marketplace seems to promise that anyone with a talent for writing can make big on their own under the right circumstances. But publishers and authors need to work extra hard to retain a reader’s attention. The panelists discussed the pressing question: How? Director of BookNet Canada Noah Genner opened up this conversation with data. He noted that leisure spending has not gone up and neither has the rate of leisure reading. This means that readers are struggling to prioritize enormous amounts of content without the time or money to spend on it. To combat this, Genner told the audience that it’s more important than ever for publishers to have a voice and a brand that stands above the rest. Whether this means developing a niche, like Second Story Press, whose books with strong female leads and themes of social justice sets them apart, or running a smart and snappy Twitter account like Coach House Books, it’s your brand–not necessarily the next blockbuster book–that keeps readers returning for more. Kristina Radke, VP of Business Growth and Development here at NetGalley, added that in order to make your book succeed, it’s crucial to not just look at a variety of KPI’s and early data, but to actually make time to understand it. There will always be multiple points of data that can be collected pre-publication–like the information on NetGalley’s Title Feedback Activity Page–but without taking the time to understand that data and change your plans based on what you learned, it’s never going to make an impact on the success of your book. Focusing on the end users, Senior Director of Merchandising at Kobo Nathan Maharaj said that publishers should focus more clearly on appealing to readers who don’t have time to sit down for focused reading, through audio. Audiobooks can help rope in customers that don’t necessarily have the leisure time, but are still interested in the story format and do have the leisure money to spend on books. On a panel predicting the future of publishing, it’s only natural that the conversation steered toward predicting future trends. Léonicka Valcius, Assistant Agent at the Transatlantic Agency, said that books are a cultural artifact that reflects society as a whole, and by reflecting on the events of today we can predict what trends will pop up in the next few years. Take, for example, the dystopias of yesterday which became popular as the world experienced great political and economic upheaval. Now, we’re seeing a surge of “up-lit”, which emphasizes kindness, empathy, and happy endings. As consumers, we’re now looking for books that show us the light at the end of a long, dark tunnel. Valcius also praised the data when trying to hone in on the trends of tomorrow. With all of the data that’s available to us digitally, finding what works is the challenge–but also the opportunity. While we may have a book that will only sell 200 copies throughout its lifecycle, with that data we can now predict what type of reader will buy those 200 copies and market accordingly. It is, of course, every publisher’s and author’s goal to see their books succeed. However, as Noah Genner was quick to point out, there are different kinds of success, and it’s important for anyone in the publishing industry to evaluate their standard for what success means. Senior Director of Marketing and Publicity at HarperCollins Canada Cory Beatty said that he regularly needs to set expectations with the authors he works with. Sometimes authors may be frustrated that their books aren’t immediately being buzzed about in major newspapers, and yet the marketing team for said book has been celebrating for weeks at the successes it has seen, whether hitting modest sales goals or generating consumer interest on Goodreads. Kristina Radke returned to the data conversation, piggy-backing on the ideas about anticipating trends. Modern capabilities are making it easier for new players to join the game. 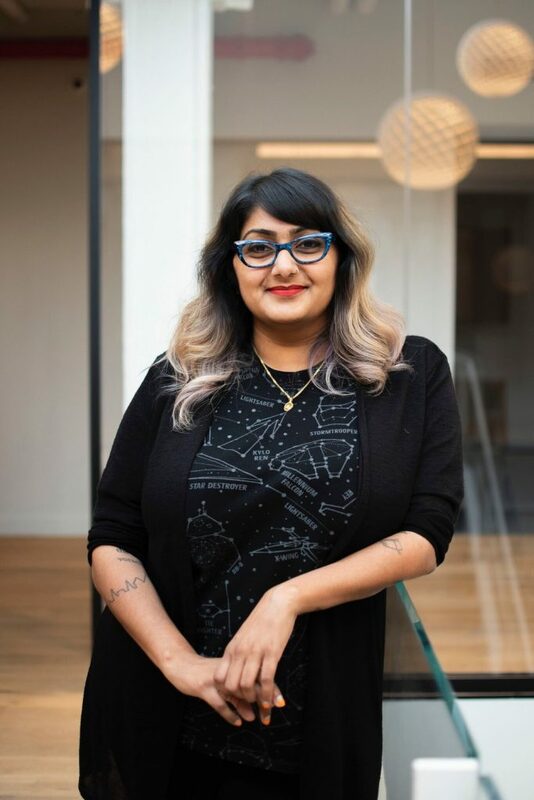 For instance, Wattpad Books is launching a new imprint that will use machine learning to help predict the next hit story and further develop content from their site. Keep up with the rest NetGalley Insights coverage of industry events, plus publishing trends and interviews, by subscribing to our weekly newsletter! Putting your titles in the hands of librarians is an important part of any book’s success story. Librarians build collections for their library branch, pick titles for their own reading groups, and were the original comp-title recommendation engines before the age of algorithms. Librarians are book advocates in their community and beyond! 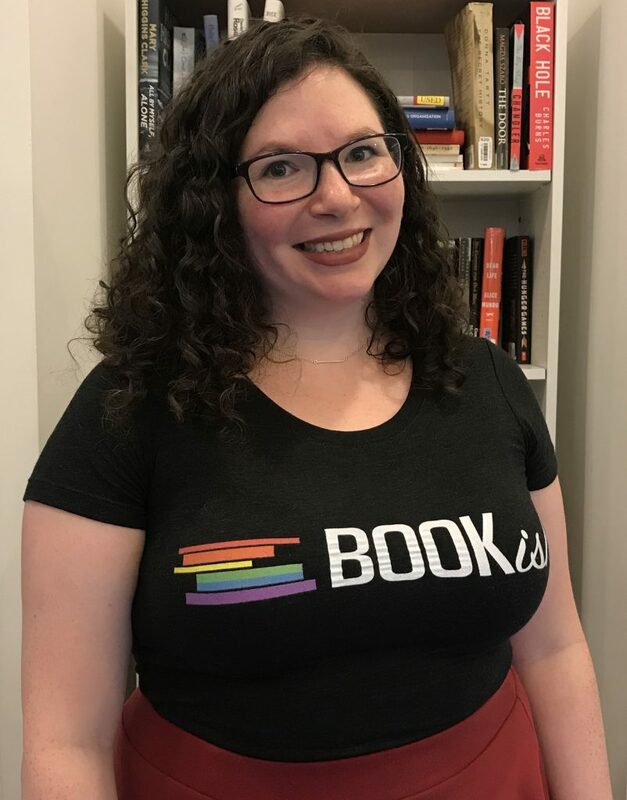 In our Ask A Librarian series, we ask librarians on NetGalley about what makes their community special, what they read, and how they stay up to date with the best new titles for their patrons. Ottawa Public Librarian Charmaine Atrooshi describes her community of patrons who visit North America’s largest English/French bilingual library and use its Homebound Services program. She also gives us an inside look at how she uses NetGalley, and which resources she uses to keep up with new titles that she can recommend to her patrons. What resources do you use to find new books to recommend, or to add to your library’s collection? I use NetGalley and BNC Catalist to find new books to recommend to customers, as well as the Loan Stars lists! I love that library staff all over Canada can vote for their favorite upcoming titles, and that these lists are released monthly! I also like to browse our catalogue (BiblioCommons) for items on order, and I try to browse some of the staff lists within for ideas. In addition, NoveList and Books & Authors [formerly What Do I Read Next?] are great databases to use when looking for read-alikes, reviews, and recommendations. *BNC Catalist is a NetGalley Partner. If a book is in both systems, the NetGalley link automatically appears in Catalist. What’s your strategy for finding new books on NetGalley? I have some favorite publishers and auto approvals so that is often a first place I check when quickly searching for new books. Depending on what mood I am in, or what area of readers’ advisory I am looking to strengthen, I will search by categories for a specific genre and browse the options available. What catches your eye when you are on the hunt for new books? The cover and title are certainly something that draw my initial interest. I admit, I am guilty of judging a book by its cover! If looks good I will read the description to see if it is something that would appeal to me or to library customers. The cover of The Smiling Man by Joseph Knox was one that really appealed to me, as well as The Silent Patient by Alex Michaelides. I read and really enjoyed both of those and can see why both have such strong appeal! Even if I don’t end up requesting a title, reading blurbs and looking at covers helps to keep me abreast of trends in publishing, read-alikes, and new releases, which is always helpful! My permanent position is in the Homebound Services department of the Ottawa Public Library. We select and deliver library materials to customers who have difficulty accessing a library branch on a regular basis. Our customer base consists primarily of older adults, and customers with disabilities. Currently, I am working temporarily as the adult librarian at the Nepean Centrepointe (NC) branch. NC is the second largest branch of the Ottawa Public Library, and it is located in the Ben Franklin Complex, which is also home to Centrepointe Theatre, and a City of Ottawa Client Service Centre. It is also just down the street from Algonquin College. On average, NC sees between 900 and 1,300 customers a day; a mixture of children, teens, adults, and older adults. Nepean Centrepointe offers a large range of programs from book clubs, to storytimes to Dungeons and Dragons evenings! It also houses materials in Arabic, Russian, Chinese, Hindi – in addition to –English and French, which is reflective of the languages of the community (world language collections are based upon census data). What resources or programs make your library unique? Homebound Services is unique in the sense that it literally brings the library into your home and provides a team of staff who are well-versed in readers’ advisory and spend the majority of their time in the realm of readers’ advisory and materials selection. One more unique fact is that we talk with the majority of our customers via telephone! Nepean Centrepointe houses OPL’s Imagine Space where customers can come to create and collaborate using 3D printers, laser cutters, photo/video editing stations, green screens/video gear, as well as various hand and electronic tools. NC also houses the Sunlife Financial Musical Lending Library, along with our main branch. Customers can borrow instruments such as keyboards, guitars, banjos, mandolins, bongos, ukuleles, violins etc. Fun fact about the Ottawa Public Library– it is the largest bilingual (English/French) library in North America! Based on what they’re checking out, what kinds of books are your readers most interested in? Popular areas of interest for Homebound customers are family sagas and mysteries, as well as biographies of ‘the average person’. We get many requests for Danielle Steel, James Patterson, Kristin Hannah, P.D. James and Anne Perry to name a few. At the NC branch, nonfiction materials circulate the most (more than double general fiction and mysteries put together!). Staff have really great displays in the nonfiction section which make it hard to walk by without grabbing one (or two). Currently, my favorite displays are “Vintage Hollywood,” “Dropping Names,” “faerie tales are Grimm” and the new cookbook display that offers a quick pick option. What percentage of your patrons check out digital books versus print? In terms of Homebound customers, the majority are print material users. There is an increase, however, in questions about downloadable materials, with tablet devices such as iPads becoming more popular and customers starting to explore the possibilities within these devices. We have had an increase in requests for assistance in setting up their devices in order to borrow library e-materials. The Ottawa Public Library offers various online resources for customer use such as Overdrive (e-books and audiobooks), CloudLibrary (express e-books) and RB Digital (magazines and audiobooks). We also offers appointments for customers looking for assistance with downloading library materials. Based upon a snapshot from this past June at Nepean Centrepointe, approximately 20% of NC customers borrowed digital materials, 70% borrowed print, and 10% borrowed both. Read the rest of our Ask a Librarian series, plus learn more about librarians’ use of social media with The Librarian Twitterverse. As a Senior Agent at the Nancy Yost Literary Agency, I’ve read and reviewed thousands of queries. Yes, thousands, and possibly tens of thousands! Since my query inbox first opened, I’ve had the opportunity read some amazing queries, and some that could have benefitted from the following these tips on polishing and personalizing your query. It will take more time, but this is an important relationship. You are hopefully going to be partnered with an agent for years, so just like with any other long term relationship you want to build strong foundations. This means at the very least addressing the agent by their name with the correct spelling and with the correct title if you choose to [address them by their] surname. Additionally, if you happen to typo, that’s okay, it happens! Feel free to follow up with a quick correction after you hit send. Or if you’re querying via a portal, you should have the ability to withdraw your submission and then re-submit with the corrected form of address. To the Google!! Authors writing in all kinds of genres have shared their query letters, and agents have also shared sample query letters. Find them. Read them. The more you read the more you’ll be able to sort out what format would work best for your book and your genre. Also note that while their are similarities between fiction and nonfiction queries, they are different. 3. Query letters are like the writer’s version of the middle school five-paragraph essay Here’s a quick cheat sheet of what each of those five paragraphs can contain. Remember, you can shorten as you see fit and [be sure] to personalize it. Introductory Paragraph: This should introduce yourself and your work. Be sure to include genre and word count. Three Body Paragraphs: You don’t have to have three, but I find it’s a solid set of paragraphs for you to talk about your book. Try to hone this “about section” think of it as similar to the text you can find on the back of a book’s cover or on the flap of a dust jacket. Conclusion Paragraph: This closing paragraph is where you can share a bit about yourself. Think of it as your bio. Feel free to include any accolades for your writing that you might have, any professional writing organizations, or fun facts. Also include how you can be contacted if you haven’t included that info in a signature block, or some submission form. I know it may be tempting to share as much as possible about your work, but I always say that if an author could share everything they wanted in a pitch about their book then why would they then write an 80,000 word novel? So, know that we want to get to your book and your pages. Don’t keep us hostage in your query letter! Instead, use your query letter as a springboard for us to dive into your book and/or submission materials. Your pitch should pique interest and lead the reader (agent or editor) to you pages! Ultimately your book, your work, your story is what’s most important. Be open to editorial feedback. It is helpful to have someone familiar with the querying process to proofread your query letter. But, no matter what, another set of eyes will help catch the small things like the typos that our brains like to gloss over. And then, thoughtfully consider their feedback. Ultimately, you have to make the final decision on what you are going to send out, but most of the people you ask for help aren’t making suggestions just for the sake of it. Really consider their edits, and be sure to appreciate and value the time they’ve taken out of their day to spend on reviewing your query letter. Oftentimes it’s difficult for an author to synthesize their work into a one-page pitch. If you have a trusted critique partner, they can sometimes help draft a few paragraphs to get you started. Of course, you might then owe them chocolate or whatever delicious treat they might desire. But this is an option I’ve had several of my authors mention they used when querying me! Seeing how others frame your work after reading and working on it with you might be helpful. You should never pressure or guilt critique partners or beta readers into helping you draft your query. Ask. And if they decline, that’s okay! There are also freelance editors out in the world that might also offer these services, and you can totally pursue those options as well. But when money is involved and exchanging hands that’s a personal choice. And always make sure you vet any freelancers you might choose to work with. Do your research, folks! While an agent might seem really cool in interviews or on social media, you’ll be wasting their time and your time by querying them with a project that they do not work on. Save yourself! 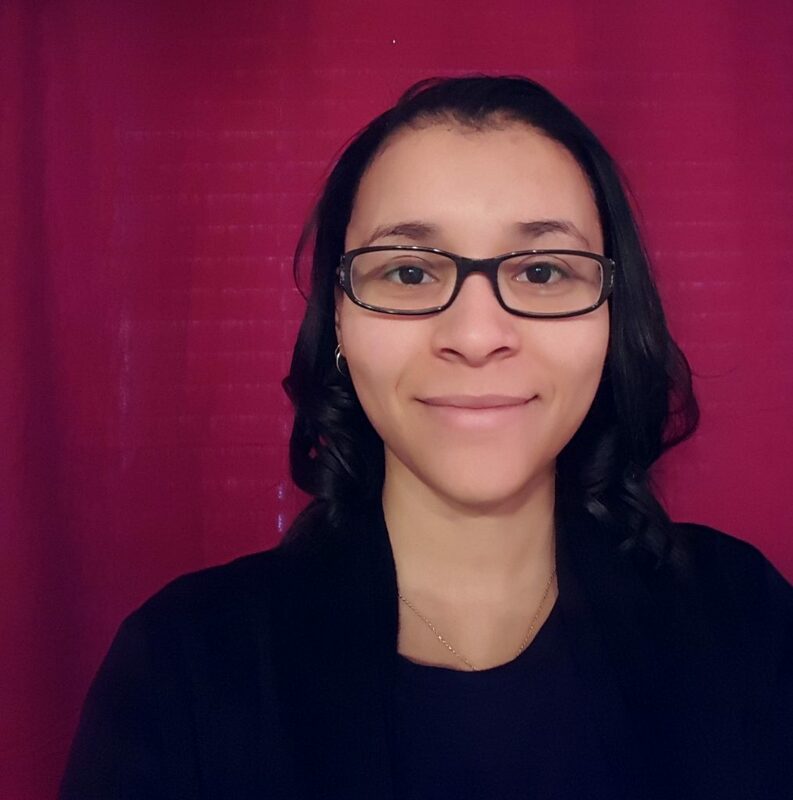 Sarah E. Younger, Senior Agent, at the Nancy Yost Literary Agency began her career in publishing at Press53 in Winston Salem, N.C. after receiving her undergraduate degree from UNC-Chapel Hill. She later attended the University of Denver’s graduate publishing program where upon completion she moved to New York City. Sarah joined the Nancy Yost Literary Agency in the fall of 2011 and has since cultivated a diverse and talented list of authors including a variety of commercial fiction and select non-fiction titles. 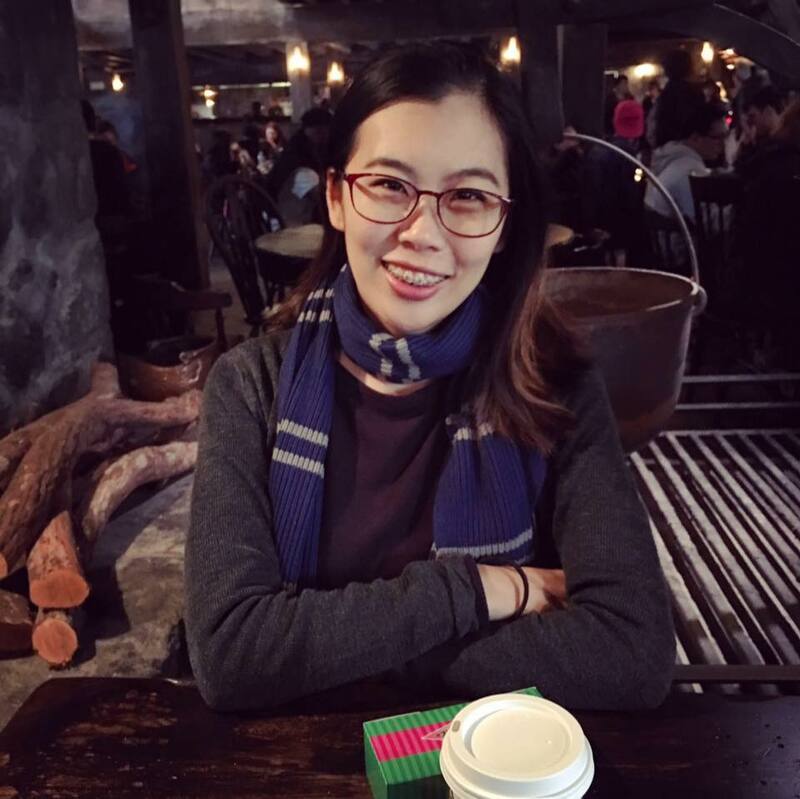 She is specifically interested in representing all varieties of romance, women’s fiction including chicklit and romantic comedies, adult science fiction and fantasy, and very select non-fiction. You can find her on her personal Twitter @seyitsme. Learn more about the Nancy Yost Literary Agency including how to query Sarah by visiting the NYLA website.